However, this book is very different to others I have read on “dragon magic/k” — eg. books by D.J. Conway and Parker J. Torrence (click here). Although I found Kelly’s books interesting — quite intriguing actually — there is a lot in them that just doesn’t “resonate” with me. 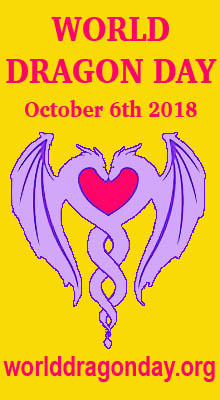 Having said that, there’s also many aspects of the other books mentioned that I just don’t “get” or agree with either (all matters of personal opinion really) even though overall, I did enjoy reading them and would certainly recommend them, along with Kelly’s books, to others seeking information about a draconic magical path. From this (and the description provided of the book — see below) it is obvious that the Draconian path that Kelly writes about is very different to my interpretation of a “Draconian” or “Draconic” path, or to my personal understanding and experience of “Dragon Magic”. As with many things, we take the ideas we like and mix and match those to form something that is personally pleasing and satisfying. I plan to revisit Apophis and work through its curriculum more thoroughly to see if there are aspects of it that I can incorporate into my path which is always changing and evolving. Further explorations of the terms LHP and RHP can be found in references  and  at the bottom of this page. Aegishjalmur: the Book of Dragon Runes is a curriculum of runic study which uses the myth of Sigurd the Volsung to awaken the powers of the Northern Dragon within the psyche of the student. Uses the same highly effective and transformative pattern of Draconian Initiation first developed in the author’s previous book ‘Apophis’, here adapted exclusively to runic lore. 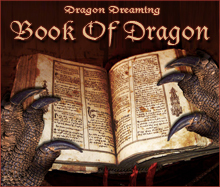 Dragonscales is a collection of essays and articles which supplement the Initiatory curricula presented in Apophis and Aegishjalmur. The articles may be read alone or together with the other two books in the series. These essays explore some of the Draconian themes in greater depth than was possible within the scope of the basic curriculum, providing new avenues and techniques for students to explore. In particular, this book’s contents shed much more light upon the higher ‘Heads’ in the Draconian initiatory curriculum, providing much food for thought for the more advanced student. With expanded lore, practice and philosophy across a broad scope of subjects, this book will prove invaluable to all who Seek After the Draconian Mysteries. 1. Apophis, by Michael Kelly, 2009. 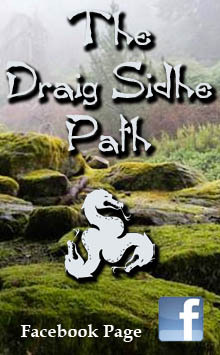 This entry was posted in Books, Personal Musings and tagged Ambidextrous path, AP, Draconian Path, Draconic Path, Dragon Magic, Left-hand path, LHP, RHP, Right-hand path. 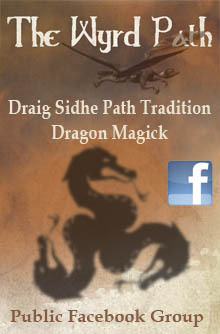 Since I am committed to the right-hand path Draconia, I can only comment what you have brought. First of all, while I was reading your article, I discovered your three books, and my own personal dragon taught me (in real-time “astral audio”) that only the third book, “dragonscale” would be worth of reading in my own case. 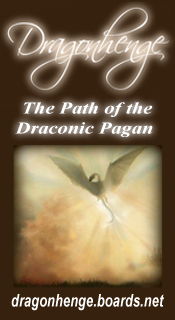 In a second point, if you consider that dragon’s magick is NOT ONLY magic fuelled by dragon’s symbolism, but also working any type of magick WITHIN the Draconic COMMUNITY, then you are NECESSARILY in a right hand path perspective. Do you catch the point in my opinion ? Hi again Hiramash …yes, I do see your point, and I agree that for the most part my practice does have a RHP perspective, however, there are certain elements of it that do not fit snuggly into a RHP description. It is not strictly LHP either so that is why I would describe it as a little “ambidextrous”. Well, I had the opportunity to chat with M.A. Ricard a bit about his book. It is not exactly the kabbalistic cross but rather a draconic/enochian colored one, really powerful since I had the opportunity to try both versions. His book really called me, like a screaming book in harry potter (believe me or not 😀 ). 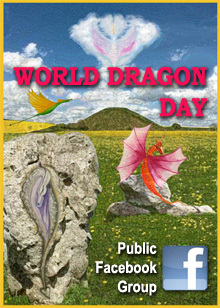 I have studied it extensively, and practiced every ritual ; the best experience I had is the “Illumination de Draco” (Draco’s enlightening), the worst was the Eye of the Dragon ; not because of the ritual properly speaking, but because of the context, where “magickal friends” began to bring typhonian energies that interfered into my work. From what i gather the two paths differ on the “Do no harm..” clause. Norse tradition as well as Draconic hold to the credo of ” family, clan and community.” and “hold to what is yours”. Care is to be taken to follow laws of the land and its leadership. If such dire action is deemed necessary, then the consequences are to be accepted be they legal, magickal backlash, wyrd or karmic. I ran into this conflict not long after coming out of the broomcloset, so to speak at one of my first group meetings. I was chided sharply for using my left hand (my power hand, and yup im left handed ) within the mostly wiccan group. With talks on how the LHP works with dark magick. My Draconic workings although limited to working with only 5, have shown me a varied mindset amongst my companions from scholarly, to bloodthirsty. I don’t think it will be fair to say all draconic tradition is LPH or RPH but when it comes down to the above DNH clause, I would have to say LPH. Other than that i agree Ambidextrous it is. Novisha, your 2nd paragraph describes exactly how I feel. Naturally I try to “do no harm” where possible, but there are times when that is not possible and in those cases (usually in defence of my children when some gross injustice has befallen them) I accept whatever consequences there may be. I discovered a while back that my beliefs didn’t quite fit with the Wiccan ethos. I’ve seen some examples of draconic script all over the place. Currently still working on Runic and it seems to work for me. Ricard’s book is only in french, can you still buy it in the states? No problems with getting a french/ english dictionary. ps….is this his official site? Nope. Didn’t work for either IE or Firefox. Won’t even let me shortcut it to my comp. Left a post on TND if anyone had an idea. Well, I am sorry that you cannot access to a translation, even through a machine. The draconic script I use is the same than Conway’s one. Have they talked to each other ? Have they read each other’s book ? If not, it would be simply impressive. You should contact the author directly : Enter the website “draconia.maricard.com” and then look for “Contactez l’auteur” and then fill the email form : You can write in English, he is canadian and speaks english. Just going to have to do this the hard way. But it’s how my friend who was from Russia learned english. Six years later she’s graduated from college with a BA and is now in her second year of RN school. No worries, it’s part of my twisted idea of fun. When I first started “confessing” my draconic leanings, I think most thought I was “role playing” in my head (which pissed me off) or had some concept off wicca mixed up. But it’s what i was taught by my friend. One of our group (she sees it all ghosts, auras, and all the little extras that hang around ) finally “saw” him in human form hanging around. He’d been manifesting to me pretty hard that week. She then later “saw” him as the head claw and eye of a dragon. Since I’d never mentioned him to anyone, and she tends to talk a lot, I think most were convinced. Of my sincerity. But from what i’ve gathered online, many practioners still take draconic tradition with a grain of salt,at least in the states. What’s is it like overseas? My rituals for the group in general are Wiccan “styled”, with a few changes such as Guardians of the elements, instead of Watchtowers. But still working my own rituals at home. I don’t know if it’s odd, but I’m glad to have them, and i don’t really want to share anyway. Here in Australia there are a few who follow some form of draconic tradition but for the most part it seems to be kept fairly private, probably because it’s easier not to have to deal with those who’ll say it’s rubbish. Our group is very eclectic in the way we run our rituals, although they are basically Wiccan “styled” also in that we cast circle and call various deities or elemental entities to guard the quarters (and sometimes the in-between “quarters” so we have eight directions called). I have my own way of doing things at home too, which is not always the same as what the group does, but I think it’s good to do your own thing as you feel called to do, not what someone else thinks you should do. Therefore I completely agree with you when you say that dragons might have previously revealed magical techniques to men, later transcribed by the GD. (Sigh) I honestly don’t see a point in judging whether you are focused on the Right Hand path or the Left Hand path; because of (in my eyes) the Right Hand path is like a waterwashed version of the original path, but so has the Left Hand path over the years. That’s why I am really picky at what I read and perceive to be the truth in all magical Grimoires I come in contact with. The reason why is because all writers perceive their magical work differently. Instead of focusing on the book, use the book of the base, call on the Gods/Goddesses (or Serpents, if you will), and communicate with them about it. Tell them your views, after all we all perceive things differently. This whole article is obviously wrong. The left-hand path is defined by dichotomy, and is ambidextrous per see, as reported by practical initiatoric systems that embraced the draconian path as their philosophy, like the Qliphothic, on which reaching the goal of most rigth-hand path religions (Nirvana, etc) it’s the step before its real goal, which is to invert it and become a creator instead of uniting with the creator. A proper research and analysis can be found the writings of Thomas Karlsson, Asenath Mason, etc. Michael Kelly’s system can be used to develop and master the required skills to climb the Tree of the Night.